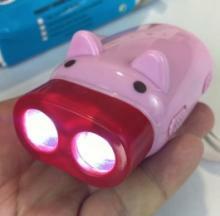 This cute pig-shaped manually rechargeable flashlight may look kinda weird but it sure comes in handy when nasty weather cuts off your power. Teddy bears are wonderful things. They make the best of friends. They are excellent at cuddling. And, in a pinch, they can help you decorate for Halloween, like this awesome Pumpkin Halloween Teddy Bear.